He looked up from the back deck and said he was going to fly. “How are you going to do that?” his mom asked. “I rubbed the dust from a butterfly’s wings on my arms,” he replied. Thankfully, it wasn’t that high. Give the boy credit. He’d been contemplating flight and took action to make it happen. Wouldn’t it be great if butterfly dust could make us fly? Well, it might not be great for butterflies, but for little boys it would be awesome. We all know that butterfly dust won’t make us fly. Mark, our youngest, believed he could fly after ‘spending time’ with a butterfly. 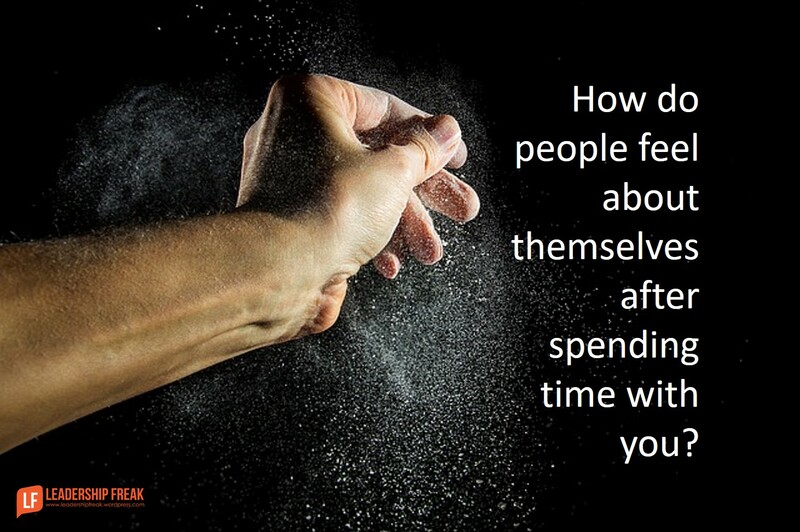 What do people believe about themselves after spending time with you? How are you inviting people to fly? Everything leaders say and do rubs off – like butterfly dust – on others. 4 ways to mind your dust. Focus on others when you’re inclined to focus on yourself. Brag about others when you plan to toot your own horn. Use ‘we’ when you feel the urge to say ‘me’. Own your weaknesses when you’re tempted to crow about your strengths. A leader’s weaknesses make space for the strengths of others. Never feel sorry for yourself because of your weaknesses. Speak confidently about the team, when you own your weaknesses. Never use weaknesses as an excuse. Own your strengths with gratitude and humility. Use your strengths as tools to enable others. What kind of leadership-dust are you seeing in organizations? How might leaders mind their dust? Fresh from the Women’s March on Washington, I am contemplating deeply about how to ‘dust’ the people around me. Leadership is a funny thing. It is a skill and a talent. It sets people apart but also brings them into the mix. What I witnessed this weekend was that every single person is a leader in her/his own way by choosing to speak and act. The leadership of example from those you least expect it is very powerful ‘dust’ indeed. 5. Have the backs of those you lead. It is important for a leader to use a teamwork approach in leading, such as using we instead of me. On the other hand many would also like to have a leader who directs, charges and navigates their team. One feels safe when they know one person, has taken charge and takes into account thoughts from everyone in the team, but ultimately takes personal responsibility for the project for the good of everyone. “The leader who has no ego is myth”. That line got an audible laugh from me. Obviously I can relate. Great article! When I did strength finder, one of my strengths is ‘significance’. As you can imagine, I must consciously fight the urge to promote myself. I never liked that strength about myself, because I don’t know how it benefits the team. In my view, it’s pretty selfish. However, after reading your article I have a different perspective. I can use my strength as a sixth sense that will allow me to “mind my dust”. Thanks for the perspective. Perhaps it is when we stop believing we can fly, that we have already failed? Great read as always, Dan!